Amber Wheeler is a board certified Pediatric Primary Care Nurse Practitioner. Amber earned her undergraduate degree in nursing from Johns Hopkins University and her Master’s degree from the University of Maryland. 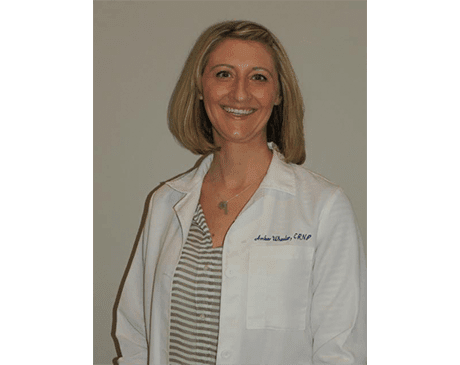 She has worked in several clinical settings including the Neonatal ICU at Johns Hopkins Bayview Medical Center and the Pediatric Surgery Center at the University of Maryland. She joined Laurel Pediatric and Teen Medical Center in June of 2013. In her free time, Amber enjoys spending time with her family, reading and raising her backyard chickens.